What’s better than blueberry pancakes on a Saturday morning? 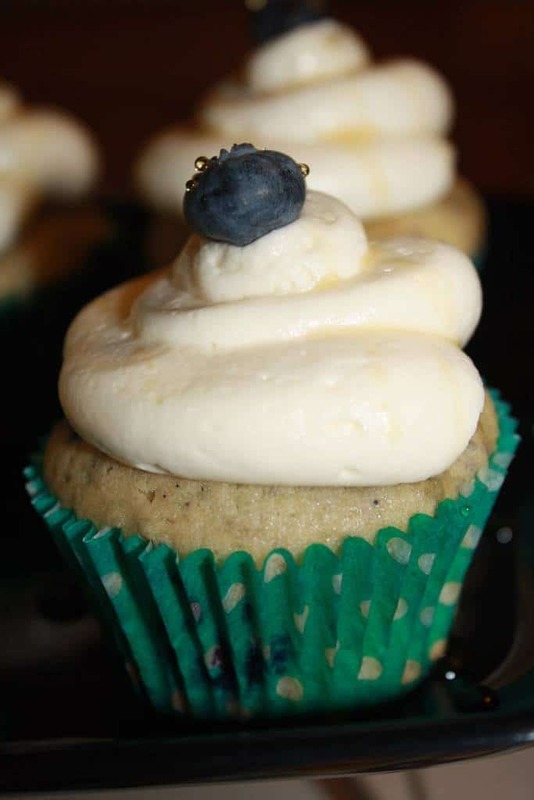 Blueberry pancake cupcakes, of course 🙂 These are topped off with a maple syrup buttercream that really makes them amazing. The cake is light and fluffy, not dense at all and even though the frosting is super sweet, they totally seem like a pancake, just bite size and obviously way cuter. Preheat oven to 350F. Line 24 muffin tins with paper liners. In a standing mixer with the paddle attachment, cream the butter and sugars together until light and fluffy. Add eggs one at a time, mixing until incorporated and add vanilla extract. Gradually add flour mixture until combined, do not over mix. Cream butter in standing mixer for 2 minutes. Slowly add 2 cups of confectioners sugar. Add final 2 cups of confections sugar. Use milk as needed if frosting is too thick. Pipe frosting with a large pastry tip. 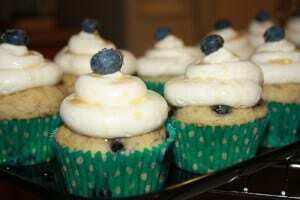 Add a fresh blueberry & drizzle with maple syrup. CakeSpy wrote a book… pre-order it NOW!